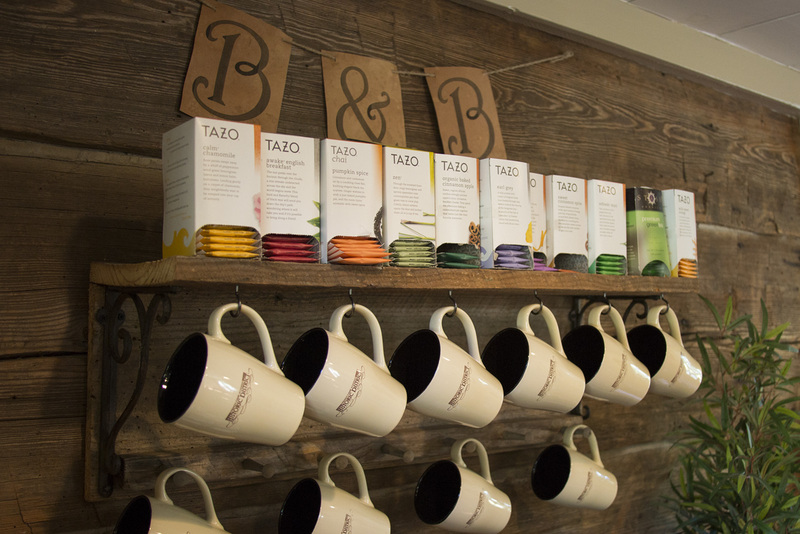 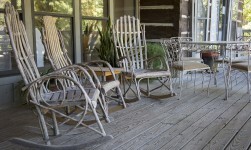 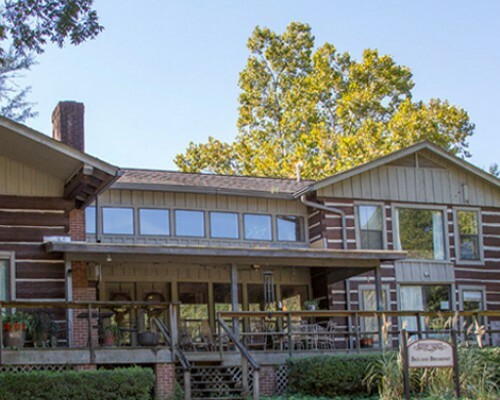 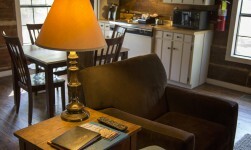 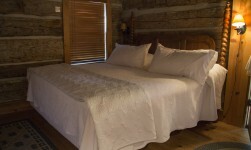 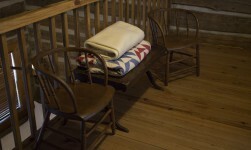 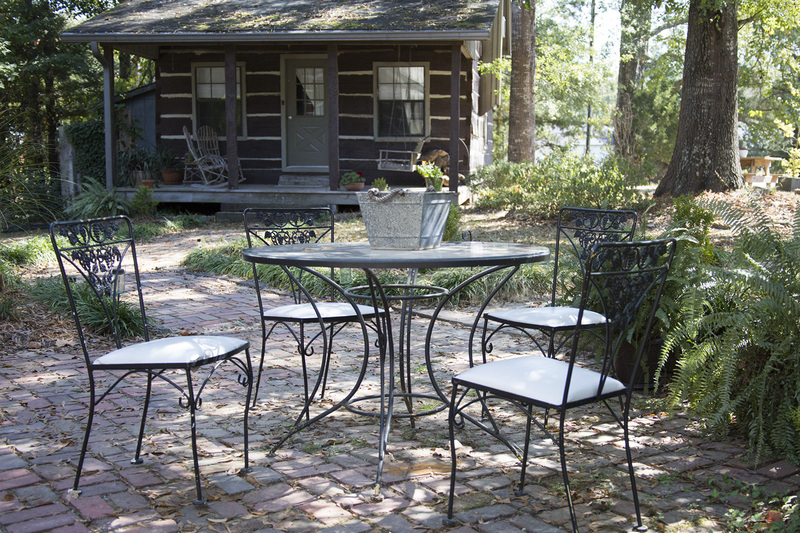 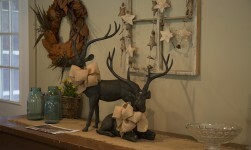 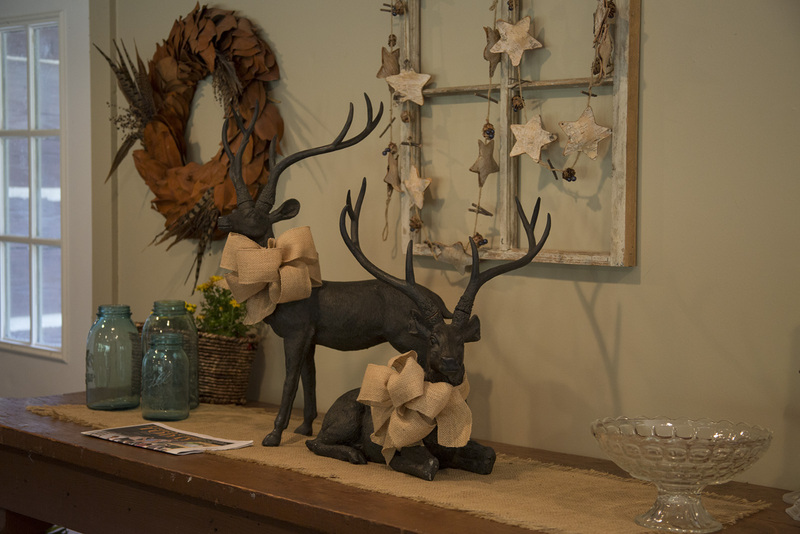 Check-in is at the Log Cabin Gift Shop from 4:00 p.m. to 7:00 p.m.
Breakfast is included with all Bed & Breakfast stays. 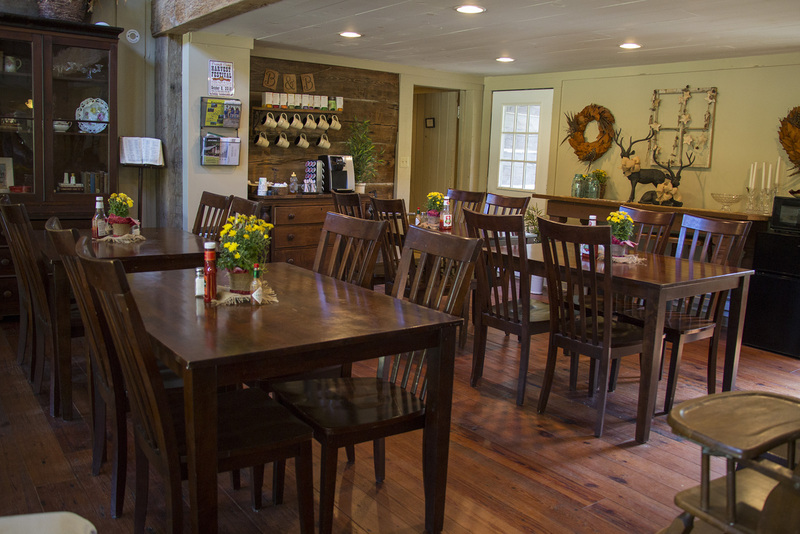 Dinner is available at the Council House Café, which is open Monday – Saturday, 10:00 a.m. to 7:00 p.m. 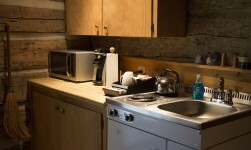 Dogs and cats are allowed in the cabins, for an additional fee. 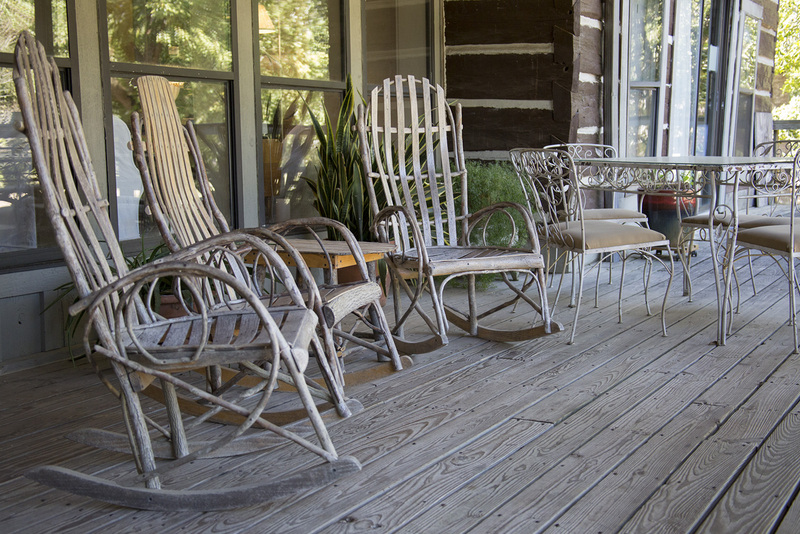 We are an alcohol and tobacco-free facility. 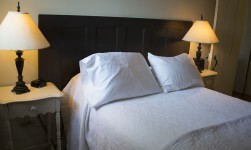 or call 662.547.6835 to reserve a room. 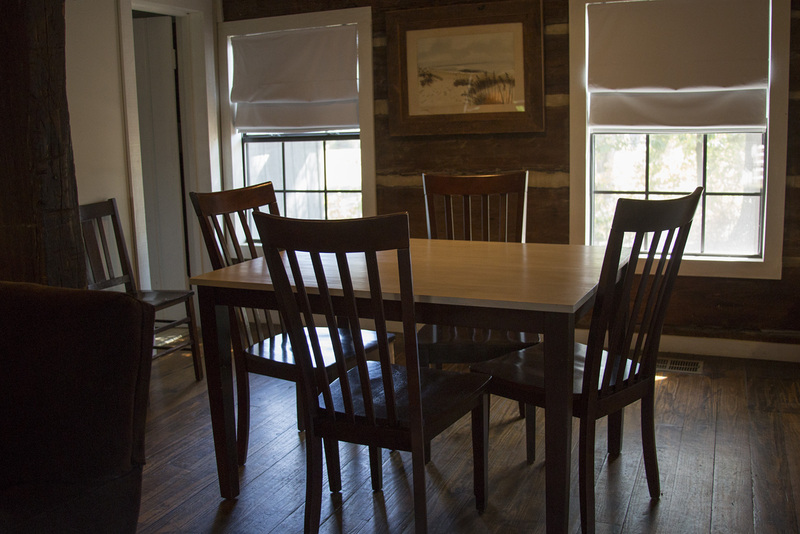 Occupancy for up to eight people. 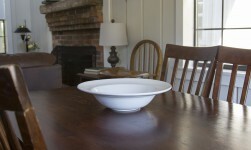 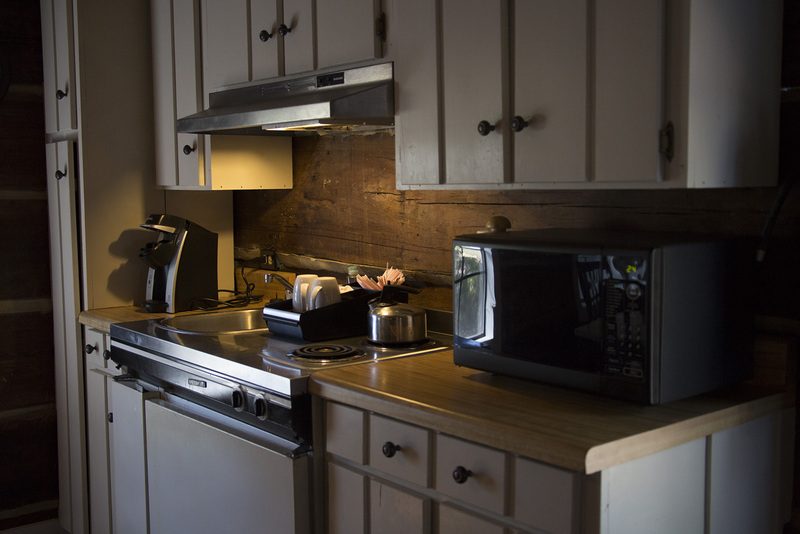 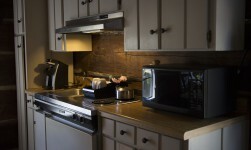 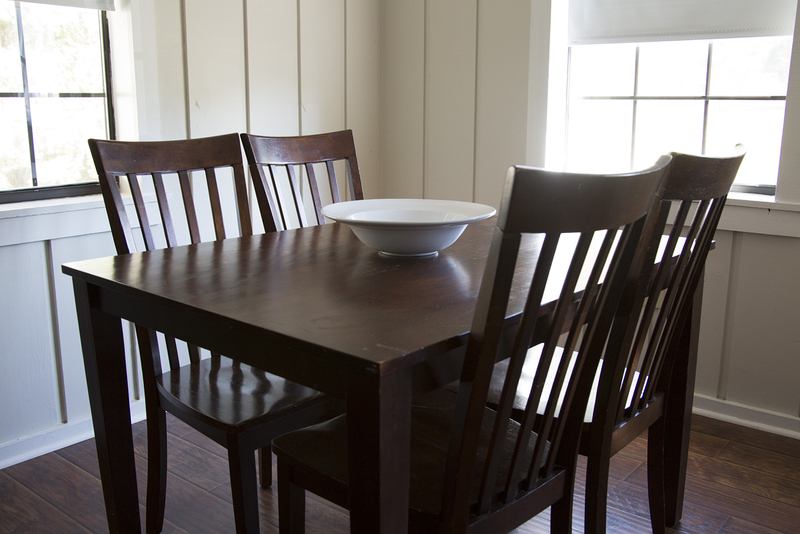 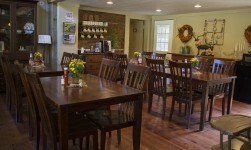 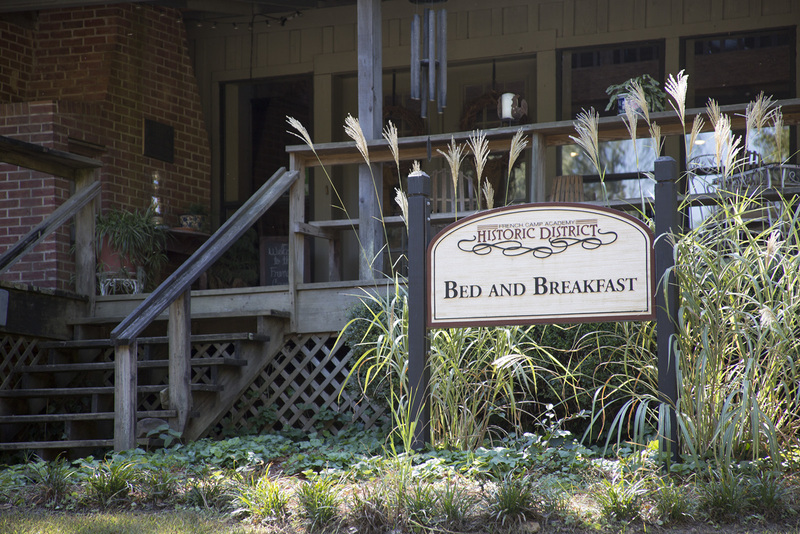 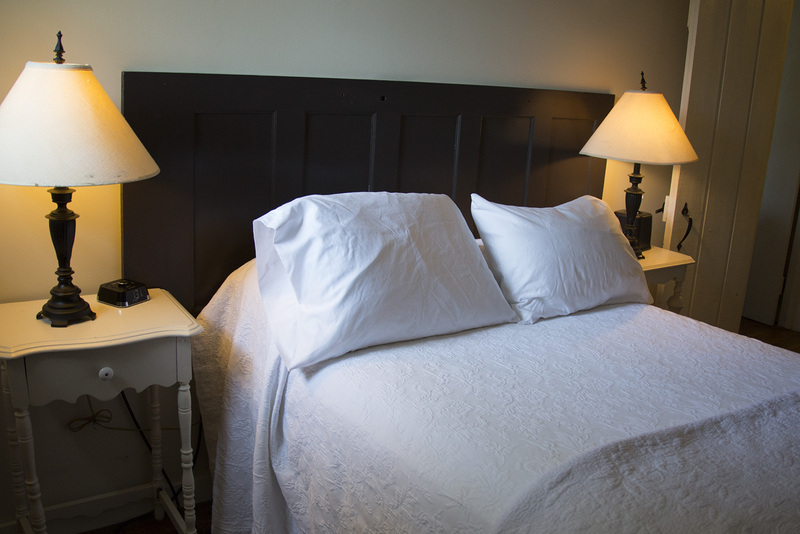 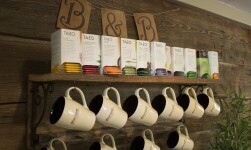 Known for its country comfort and bountiful breakfast, the Bed & Breakfast is just the place to find solace and rest. 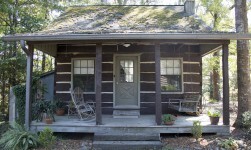 In 1986, French Camp Academy moved two log cabins built between 1840 and 1870 from Eupora, Mississippi, to French Camp. 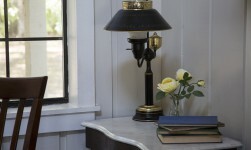 They were placed side by side and joined together with an addition matching the period architecture. 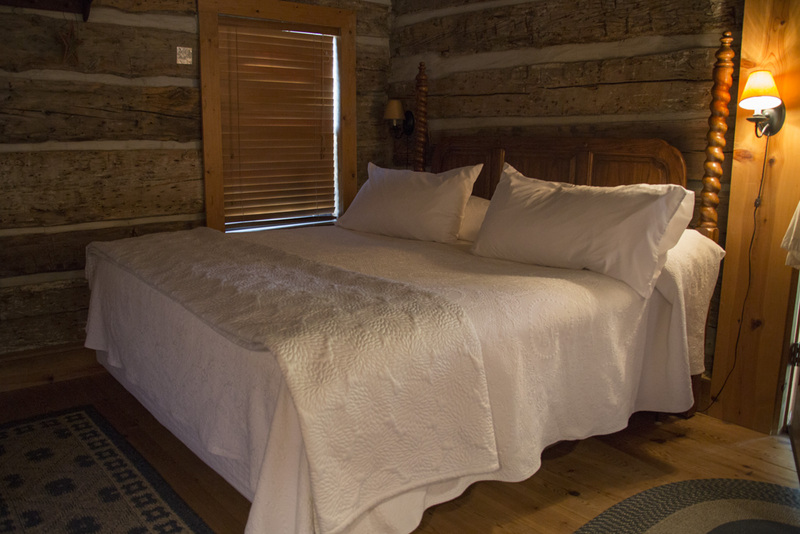 (Some of the original pine logs are 18 inches in diameter.) 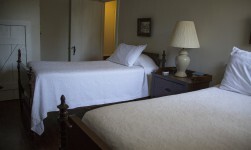 The inn officially began receiving visitors in 1987. 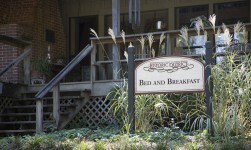 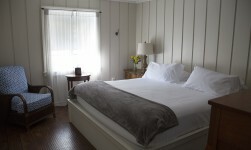 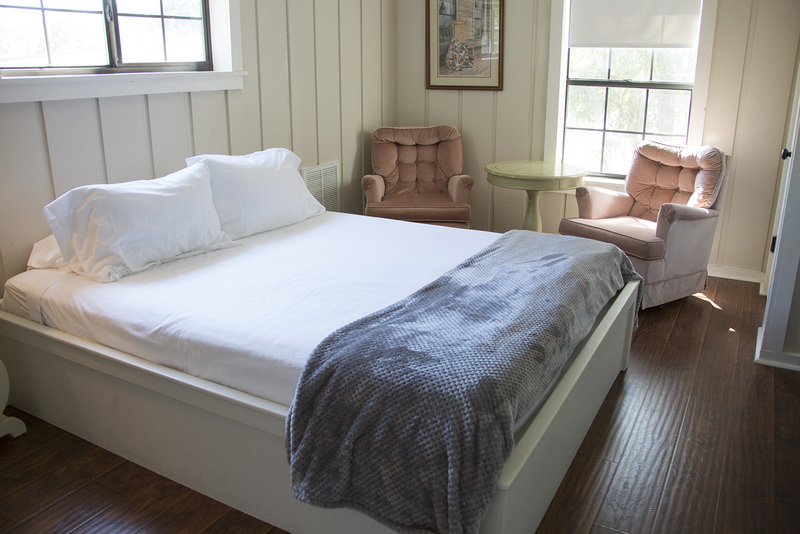 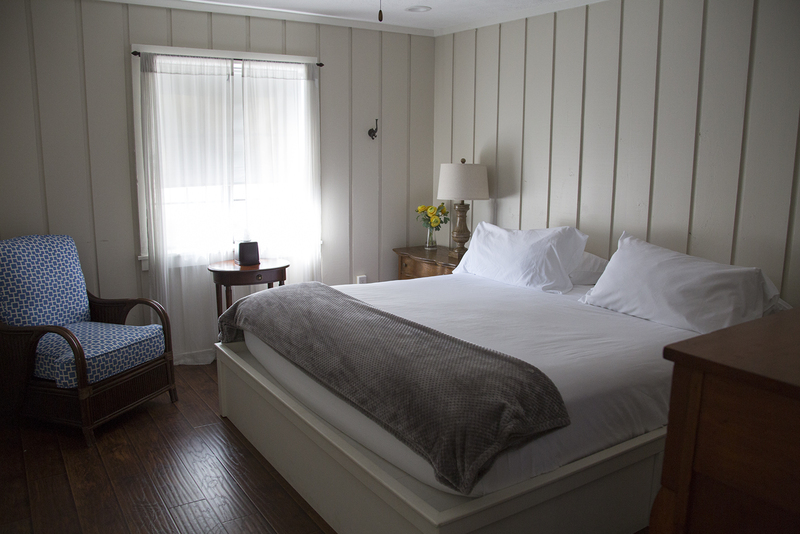 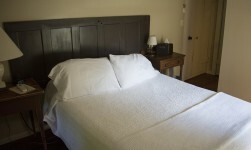 Each of the four rooms in the Main Bed & Breakfast has a private bath. The two rooms upstairs, Ed’s Room and Sallie’s Room, each contain a queen bed. Downstairs, Victoria’s Room contains two twin beds, and the Downstairs Room also has a queen bed. 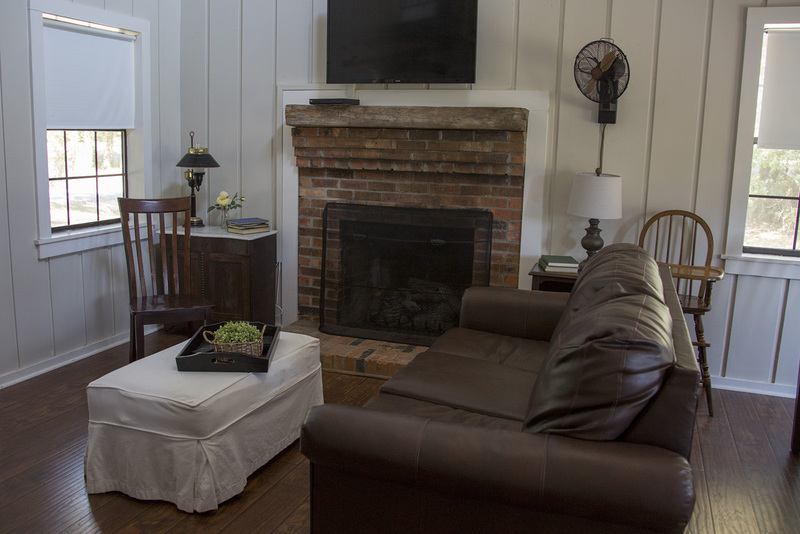 There is a spacious family room on the first floor, a comfortable balcony sitting area upstairs and a front deck – perfect for chatting and relaxing. 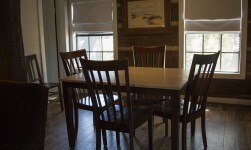 Occupancy for up to six people. 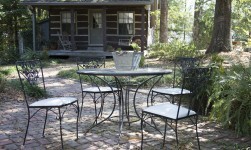 In 1990, a second cottage was restored and relocated behind the original inn. 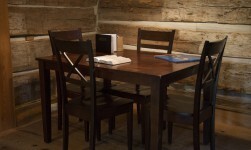 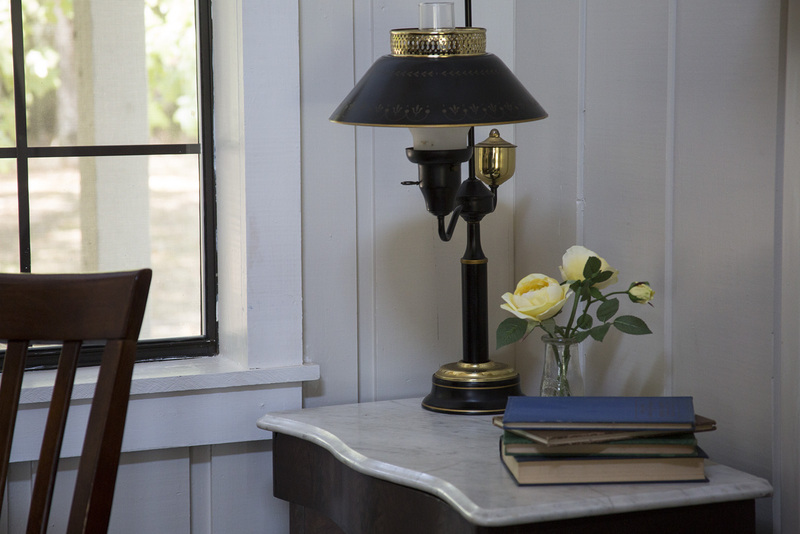 Constructed from wood of several 1800s buildings, it has quite the appeal with its dark log walls and wood floors. 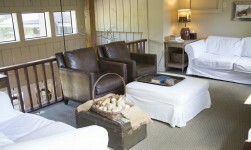 Downstairs, you’ll find a cozy sitting area complete with sofa bed, a dining area, kitchenette and a full bath. 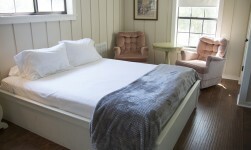 Upstairs is a bathroom and two bedrooms furnished with two twin beds and one full bed. 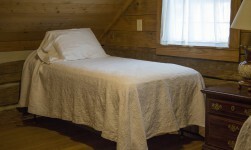 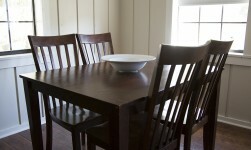 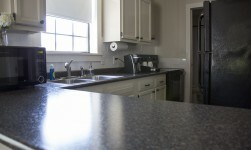 Occupancy for up to four people, handicap accessible. 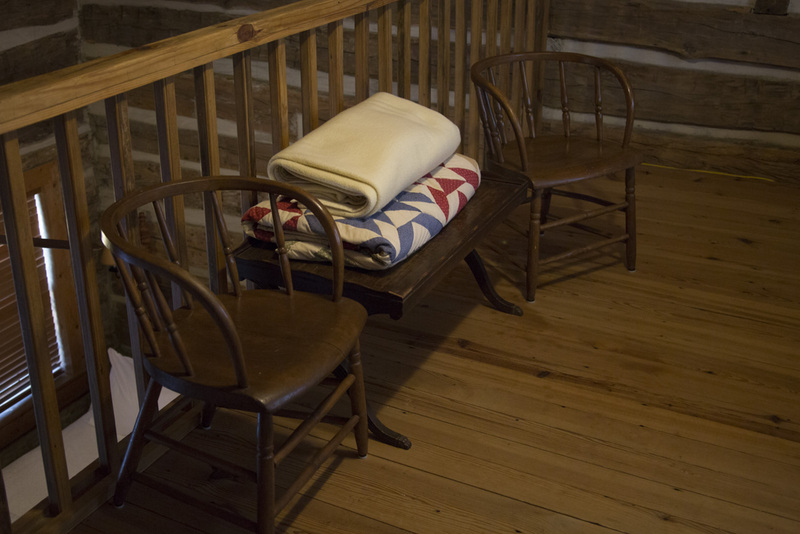 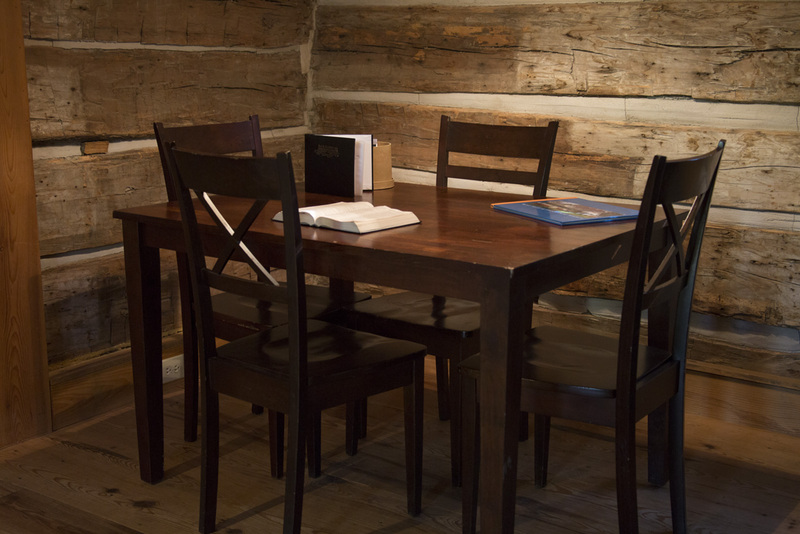 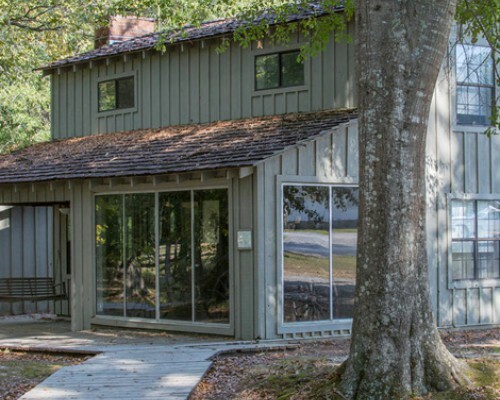 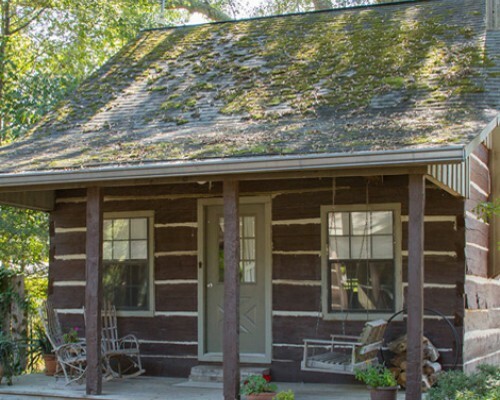 The Burford Cabin is made up of half of a 1800s dogtrot home moved to French Camp from West Point, Mississippi. 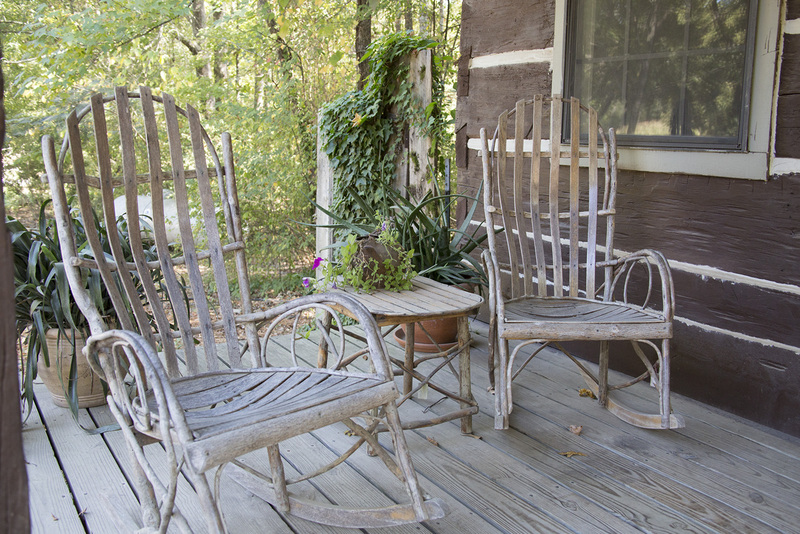 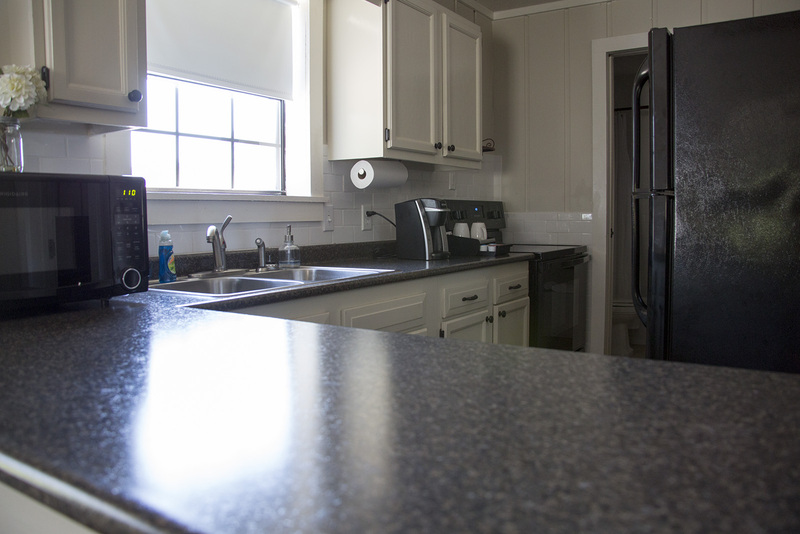 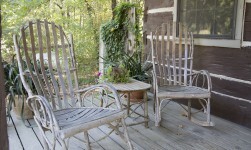 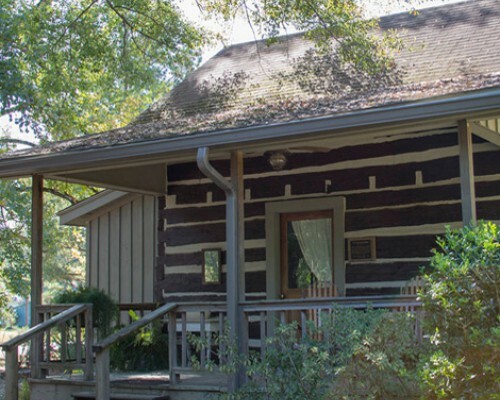 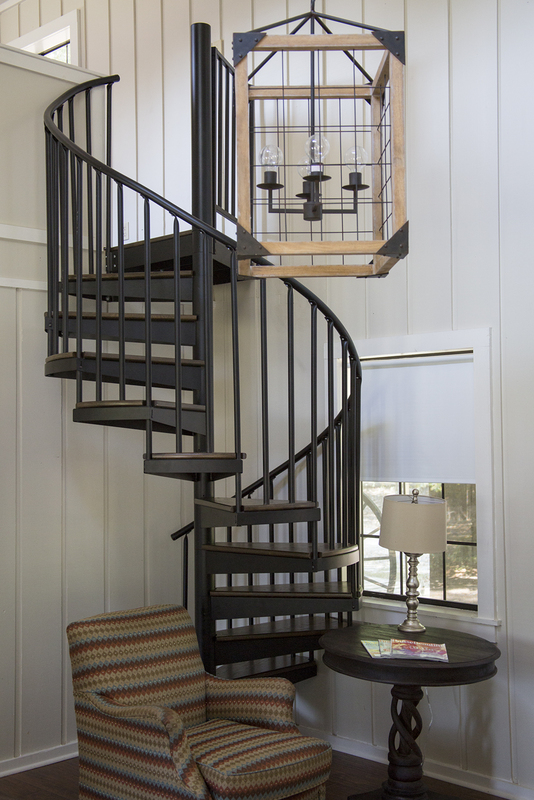 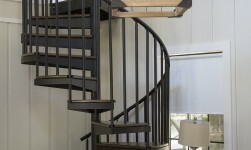 This cabin is handicap accessible with a ramp leading up to the porch for easy access. 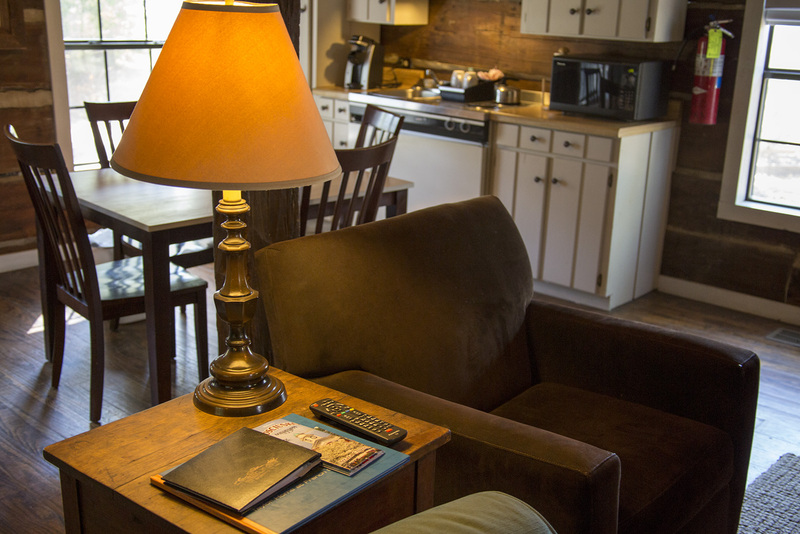 The downstairs offers a king bed, kitchenette and comfortable sitting/dining area, plus a cozy electric fireplace and large bathroom. 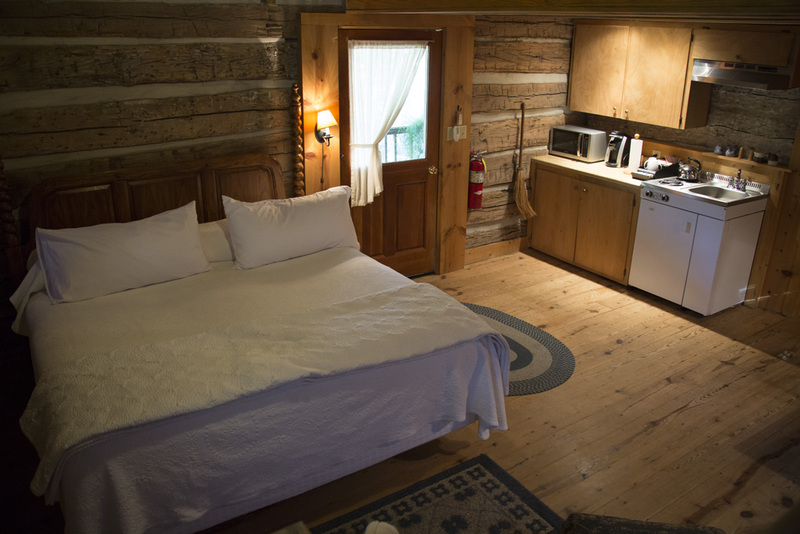 Upstairs, there’s a comfy loft with two twin beds. 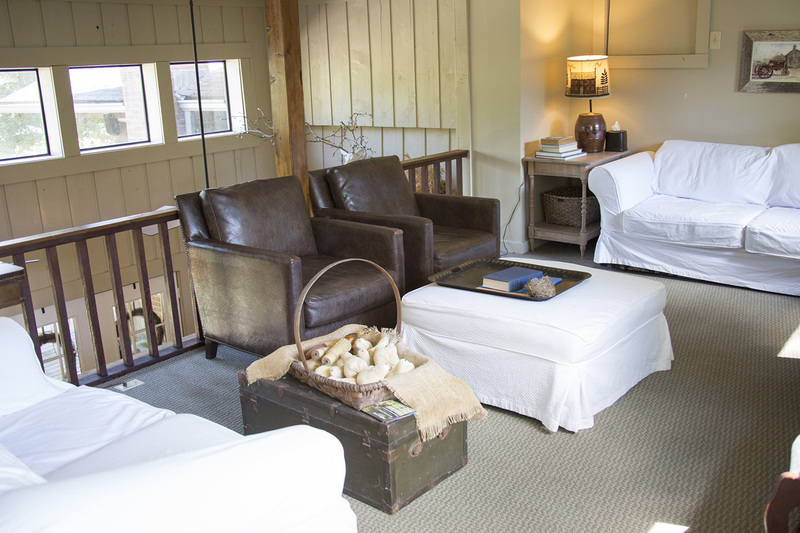 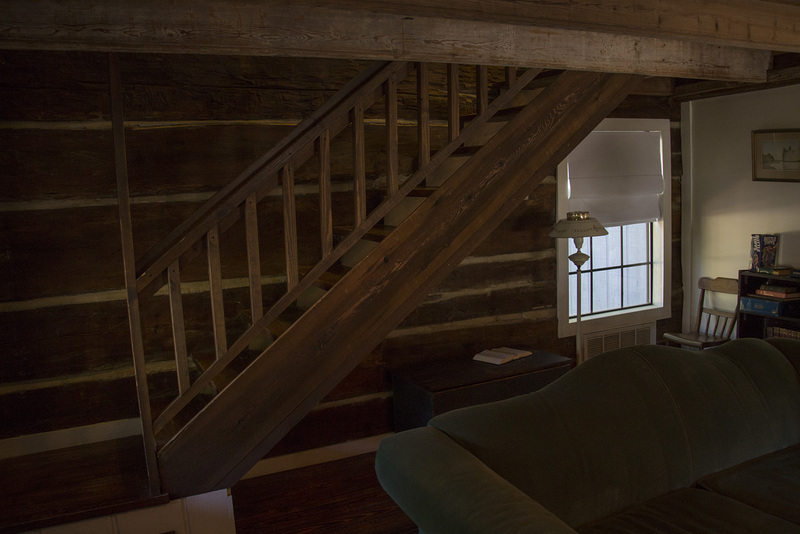 The Carriage House is a newer building built on the site of a 1880s cabin and still features the original fireplace. 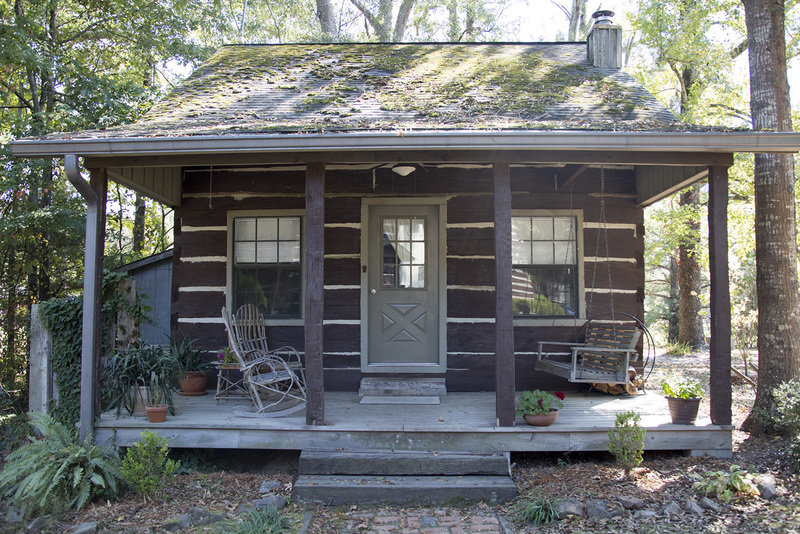 While you’re here, take a moment to look at planter Greenwood Leflore’s carriage displayed on the front side of the house. 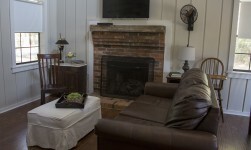 Downstairs, you’ll find a spacious living room with sofa bed, along with a full kitchen and dining area. 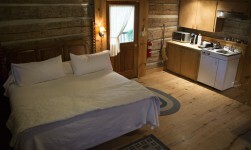 Also downstairs there is a full bath and a spacious bedroom with a king bed. 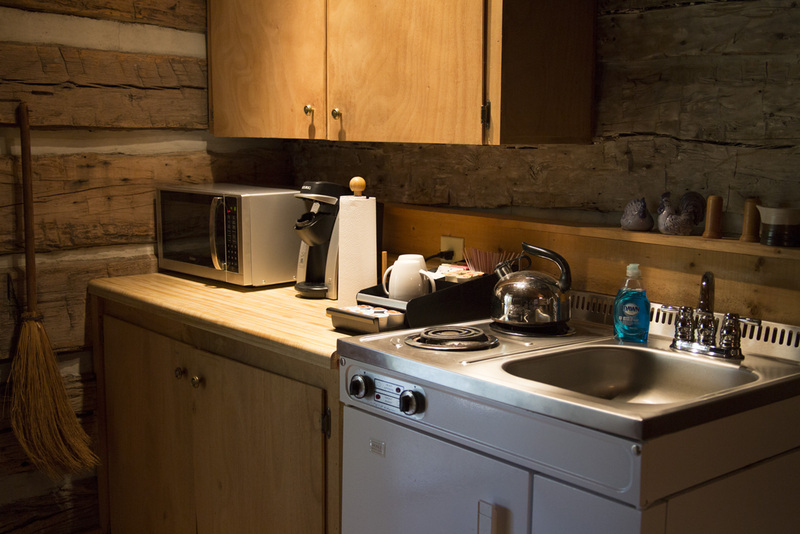 A stacked washer and dryer provides extra convenience. 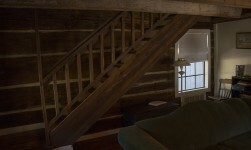 Upstairs is a comfortable loft with queen bed.